Mahler completed what would become the first movement of the symphony in 1888 as a single-movement symphonic poem called Totenfeier (Funeral Rites). Some sketches for the second movement also date from that year. 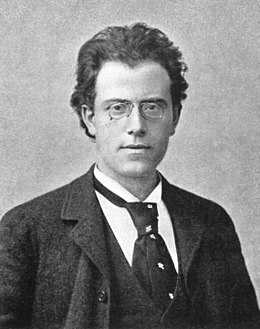 Mahler wavered five years on whether to make Totenfeier the opening movement of a symphony, although his manuscript does label it as a symphony. In 1893, he composed the second and third movements. The finale was the problem. While thoroughly aware he was inviting comparison with Beethoven's Symphony No. 9—both symphonies use a chorus as the centerpiece of a final movement which begins with references to and is much longer than those preceding it—Mahler knew he wanted a vocal final movement. Finding the right text for this movement proved long and perplexing. When Mahler took up his appointment at the Hamburg Opera in 1891, he found the other important conductor there to be Hans von Bülow, who was in charge of the city's symphony concerts. Bülow, not known for his kindness, was impressed by Mahler. His support was not diminished by his failure to like or understand Totenfeier when Mahler played it for him on the piano. Bülow told Mahler that Totenfeier made Tristan und Isolde sound to him like a Haydn symphony. As Bülow's health worsened, Mahler substituted for him. Bülow's death in 1894 greatly affected Mahler. At the funeral, Mahler heard a setting of Friedrich Gottlieb Klopstock's Die Auferstehung (The Resurrection), where the dictum calls out "Rise again, yes, you shall rise again / My dust". "It struck me like lightning, this thing," he wrote to conductor Anton Seidl, "and everything was revealed to me clear and plain." Mahler used the first two verses of Klopstock's hymn, then added verses of his own that dealt more explicitly with redemption and resurrection. He finished the finale and revised the orchestration of the first movement in 1894, then inserted the song "Urlicht" (Primal Light) as the penultimate movement. This song was probably written in 1892 or 1893. Mahler initially devised a narrative programme (actually several variant versions) for the work, which he shared with a number of friends (including Natalie Bauer-Lechner and Max Marschalk [de]). He even had one of these versions printed in the program book at the premiere in Dresden on 20 December 1901. In this programme, the first movement represents a funeral and asks questions such as "Is there life after death? "; the second movement is a remembrance of happy times in the life of the deceased; the third movement represents a view of life as meaningless activity; the fourth movement is a wish for release from life without meaning ; and the fifth movement – after a return of the doubts of the third movement and the questions of the first – ends with a fervent hope for everlasting, transcendent renewal, a theme that Mahler would ultimately transfigure into the music of Das Lied von der Erde. As generally happened, Mahler later withdrew all versions of the programme from circulation. The work was first published in 1897 by Friedrich Hofmeister. The rights were transferred to Josef Weinberger [de] shortly thereafter, and finally to Universal Edition, which released a second edition in 1910. A third edition was published in 1952, and a fourth, critical edition in 1970, both by Universal Edition. As part of the new complete critical edition of Mahler's symphonies being undertaken by the Gustav Mahler Society, a new critical edition of the Second Symphony was produced as a joint venture between Universal Edition and the Kaplan Foundation. Its world premiere performance was given on 18 October 2005 at the Royal Albert Hall in London with Gilbert Kaplan conducting the Royal Philharmonic Orchestra. Reproductions of earlier editions have been released by Dover and by Boosey & Hawkes. The Kaplan Foundation published an extensive facsimile edition with additional materials in 1986. 1989 saw the publication of an arrangement by Bruno Walter for piano four hands. The first movement is marked Mit durchaus ernstem und feierlichem Ausdruck (With complete gravity and solemnity of expression). It is written in C minor, but passes through a number of different moods and resembles a funeral march. The movement's formal structure is modified sonata form. The exposition is repeated in a varied form (from rehearsal number 4 through 15, as Ludwig van Beethoven often did in his late string quartets). The development presents several ideas that will be used later in the symphony, including a theme based on the Dies irae plainchant. begins its second statement in C major, a key in which it is not expected until the recapitulation. The statement in the recapitulation, coincidentally, is in the original E major (F♭ major). The eventual goal of the symphony, E-flat major, is briefly hinted at after rehearsal 17, with a theme in the trumpets that returns in the finale. Following this movement, Mahler calls in the score for a gap of five minutes before the second movement. This pause is rarely observed today. Often conductors will meet Mahler half way, pausing for a few minutes while the audience takes a breather and settles down and the orchestra retunes in preparation for the rest of the piece. Julius Buths received this instruction from Mahler personally, prior to a 1903 performance in Düsseldorf; however, he chose instead to place the long pause between the fourth and fifth movements, for which Mahler congratulated him on his insight, sensitivity, and daring to go against his stated wishes. A practical way of following Mahler's original indication is to have the two soloists and the chorus enter the stage only after the first movement. This creates a natural separation between the first movement and the rest of the symphony and also saves the singers more than twenty minutes of sitting on stage. One can get an idea of Mahler's intention through a comparison with his Symphony No. 3, where – due to the length of the piece – a real break after the first movement (as between two acts of an opera) is highly recommended, and indeed indicated by Mahler. As in the case of Symphony No. 2, this is not always observed nowadays. The second movement is marked Sehr gemächlich. Nie eilen. (Very leisurely. Never rush.) It is a delicate Ländler in A♭ major. with two contrasting sections of slightly darker music. This slow movement itself is contrasting to the two adjacent movements. Structurally, it is one of the simplest movements in Mahler's whole output. It is the remembrance of the joyful times in the life of the deceased. The third movement is a scherzo in C minor. It opens with two strong, short timpani strokes. It is followed by two softer strokes, and then followed by even softer strokes that provide the tempo to this movement, which includes references to Jewish folk music. Mahler called the climax of the movement, which occurs near the end, sometimes a "cry of despair", and sometimes a "death shriek". The movement is based on Mahler's setting of "Des Antonius von Padua Fischpredigt" from "Des Knaben Wunderhorn", which Mahler composed almost concurrently; in correspondence, Mahler expressed amusement that his sinuous musical setting could imply St. Anthony of Padua was himself drunk as he preached to the fish. In 1967–68, the movement was used by Luciano Berio for the third movement of his Sinfonia, where it is used as the framework for constructing a musical collage of works from throughout the Western classical tradition. Performed by the Virtual Philharmonic Orchestra (Reinhold Behringer) with digital samples. Solo voice has been replaced by solo cello. The fourth movement, "Urlicht" (Primal Light) is marked Sehr feierlich, aber schlicht (Very solemn, but simple). It is a Wunderhorn song, sung by an alto, which serves as an introduction to the Finale. The song, set in the remote key of D♭ major, illustrates the longing for relief from worldly woes, leading without a break to the response in the Finale. The finale is the longest, typically lasting over half an hour. It is divided into two large parts, the second of which begins with the entry of the chorus and whose form is governed by the text of this movement. The first part is instrumental, and very episodic, containing a wide variety of moods, tempi and keys, with much of the material based on what has been heard in the previous movements, although it also loosely follows sonata principles. New themes introduced are used repeatedly and altered. and by a call in the offstage horns. The first theme group reiterates the Dies irae theme from the first movement, and then introduces the "resurrection" theme to which the chorus will sing their first words, and finally a fanfare. The second theme is a long orchestral recitative, which provides the music for the alto solo in the choral section. The exposition concludes with a restatement of the first theme group. This long opening section serves to introduce a number of themes, which will become important in the choral part of the finale. The development section is what Mahler calls the "march of the dead". It begins with two long drum rolls, which include the use of the gongs. In addition to developing the Dies irae and resurrection themes and motives from the opening cry of despair, this section also states, episodically, a number of other themes, based on earlier material. The recapitulation overlaps with the march, and only brief statements of the first theme group are restated. The orchestral recitative is fully recapitulated, and is accompanied this time by offstage interruptions from a band of brass and percussion (which some had explained as the apocalypse's seven trumpets). This builds to a climax, which leads into a restatement of the opening introductory section. The horn call is expanded into Mahler's "Great Summons", a transition into the choral section. Tonally, this first large part, the instrumental half of the movement, is organized in F minor. After the introduction, which recalls two keys from earlier movements, the first theme group is presented wholly in F minor, and the second theme group in the subdominant, B♭ minor. The restatement of the first theme group occurs in the dominant, C major. The development explores a number of keys, including the mediant, A♭ major, and the parallel major, F major. Unlike the first movement, the second theme is recapitulated as expected in the tonic key. The restatement of the introduction is thematically and tonally a transition to the second large part, moving from C♯ minor to the parallel D♭ major — the dominant of F♯ minor — in which the Great Summons is stated. The Epiphany comes in, played by the flute, in a high register, and featuring trumpets, that play offstage. The choral section begins in G♭ major. The chorus comes in quietly a little past the halfway point of the movement. although after eight measures the music gravitates to G major (but never cadences on it). E♭ suddenly reenters with the text "Sterben werd' ich um zu leben," and a proper cadence finally occurs on the downbeat of the final verse, with the entrance of the heretofore silent organ (marked volles Werk, full organ) and with the choir instructed to sing mit höchster Kraft (with highest power). The instrumental coda is in this ultimate key as well, and is accompanied by the tolling of deep bells. Mahler went so far as to purchase actual church bells for performances, finding all other means of achieving this sound unsatisfactory. Mahler wrote of this movement: "The increasing tension, working up to the final climax, is so tremendous that I don't know myself, now that it is over, how I ever came to write it." Note: This text has been translated from the original German text from Des Knaben Wunderhorn to English on a very literal and line-for-line basis, without regard for the preservation of meter or rhyming patterns. when came a little angel and wanted to turn me away. I am from God and shall return to God! Which will light me into that eternal blissful life! Note: The first eight lines were taken from the poem Die Auferstehung by Friedrich Gottlieb Klopstock. Mahler omitted the final four lines of this poem and wrote the rest himself (beginning at "O glaube"). World premiere (first three movements only): March 4, 1895, Berlin, with the composer conducting the Berlin Philharmonic. World premiere (complete): December 13, 1895, Berlin, conducted by the composer. The original manuscript score was given by Mahler's widow to conductor Willem Mengelberg at a 1920 Mahler festival given by Mengelberg and the Concertgebouw Orchestra. It was bought from the Mengelberg Foundation in 1984 by entrepreneur Gilbert Kaplan, who specialised in conducting the symphony as an amateur. On 29 November 2016 the score was sold at Sotheby's of London for £4.5 million, the highest ever price for a musical manuscript sold at auction. There were four telephone bidders for the manuscript, with the winning bidder choosing to remain anonymous. ^ a b Steinberg 1995, p. 285. ^ Steinberg 1995, pp. 290–291. ^ Steinberg 1995, p. 291. ^ "Symphony No. 2 in C minor (Resurrection)". Kennedy Center for the Performing Arts. Archived from the original on October 19, 2008. Retrieved 2008-06-24. ^ "Mahler Premiere". classicalsource.com. Retrieved 29 November 2016. ^ a b "Gilbert Kaplan (1941-2016)". gustav-mahler.eu. Retrieved 20 December 2018. ^ "Symphony No. 2 (Mahler, Gustav)". imslp.org. Retrieved 20 December 2018. ^ Schram, Albert-George. Gustav Mahler: Symphony No. 2 (C minor): A Historical Background and Analysis. Thesis (D.Mus. Arts) University of Washington, 1985. ^ "San Francisco Symphony – Program Notes & Articles". sfsymphony.org. Retrieved 29 November 2016. ^ "Monthly Calendar – November 2016". kennedy-center.org. Retrieved 29 November 2016. ^ "Des Knaben Wunderhorn". kennedy-center.org. Retrieved 20 December 2018. ^ Natalie Bauer-Lechner, Recollections of Gustav Mahler, trans. Dika Newlin, ed. Peter Franklin (New York: Cambridge University Press, 1980), pp. 43–44. ^ Klopstock's Die Auferstehung is not, as is commonly believed, one of his Oden, but rather from a set entitled Geistliche Lieder (Spiritual Songs). ^ "1895 Concert Berlin 04-03-1895 - Symphony No. 2 - movement 1, 2 and 3". gustav-mahler.eu. Retrieved 20 December 2018. ^ "1895 Concert Berlin 13-12-1895 - Symphony No. 2 (Premiere)". gustav-mahler.eu. Retrieved 20 December 2018. ^ "Gustav Mahler £4.5m manuscript breaks record at Sotheby's". bbc.co.uk. 29 November 2016. Retrieved 29 November 2016 – via www.bbc.co.uk. Steinberg, Michael (1995). The Symphony. New York and Oxford: Oxford University Press. ISBN 0-19-506177-2. Wikimedia Commons has media related to Symphony No. 2 (Mahler). This page was last edited on 28 January 2019, at 04:53 (UTC).